Art House Co-op Submission: Scenarios Of... | Oh Sarah O ! Last week I participated in the Art House Co-op's Scenario's Of Project. The scenario of this project is: You wake up to find that everything in your home is gone. Your books, furniture, pictures - even the nails they were hanging on, have all mysteriously vanished. You wander room to room before encountering one object - you're surprised it's the one thing remaining because it's not of great value, but it has a special significance only you would know about. 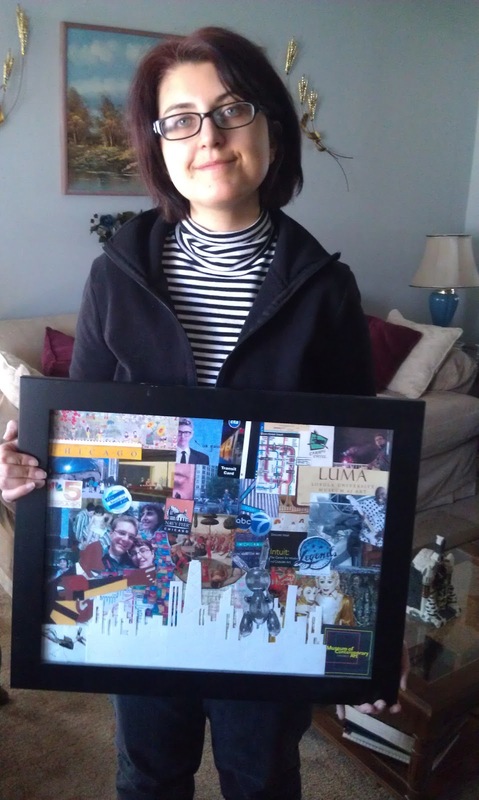 To participate in the project, I had to submit an image of myself and my object of special significance. I chose the framed collage I created of my (now) husband and I from the trip we took to Chicago together in 2006. The picture reminds me of my husband and how much fun we have together.